Our new collection is devoted to buildings and monuments destroyed or lost due to calamities of war, terrorism, or natural catastrophes. 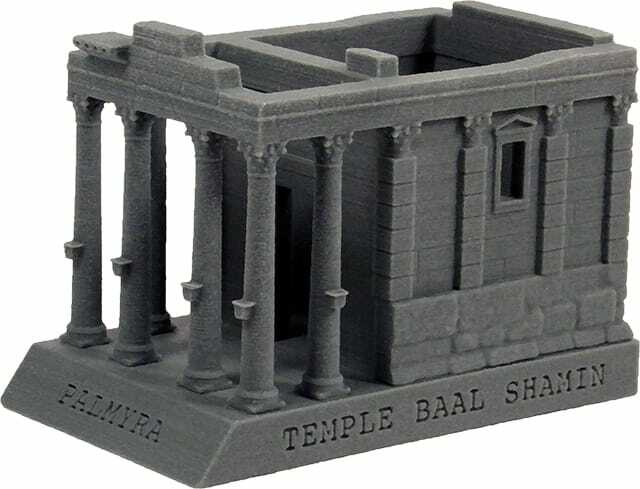 The first building in the collection is Temple Baal Shamin in Palmyra. Built in 131 AD in ancient Syria, and remarkably well preserved, the temple was senselessly blown up by ISIS in August 2015. 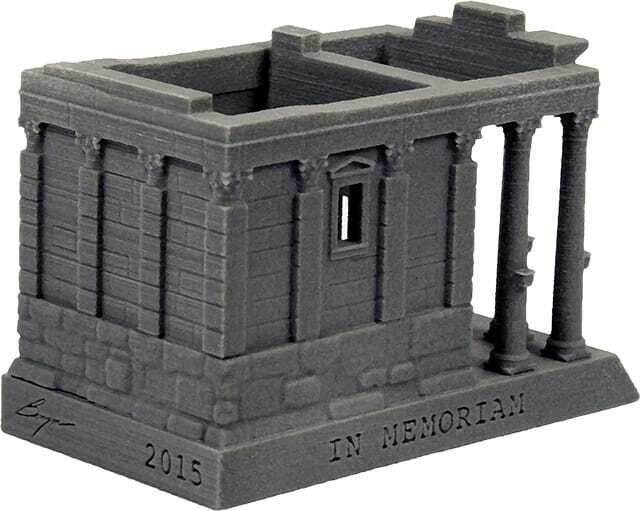 The new IN MEMORIAM pieces are created per order, one-by-one, with an advanced technique of 3-D Sandstone Printing. The porcelain-like material allows for fine details, previously unattainable in our miniatures. Each piece is hand-finished, sealed, and consecutively numbered. It measures 4” by 2.5” by 3” high. No more than 200 will be made.